Apparently it’s Top 100 (or 101) Prospect List day around the internet. Both Baseball America and Baseball Prospectus released their lists earlier today. On Saturday, MLB Pipeline will be releasing their Top 100 list, too, in case you wanted to follow along. The Cincinnati Reds were represented well on both of the lists released today. Let’s start with the Baseball America list. They first released a Top 100 prospect list after the 1989 season, and have long been the gold standard for prospect lists. They are considered the premiere source for Minor League Baseball coverage, having been founded in 1981. From my perspective, the reason their lists hold so much clout is more than just the longevity of the publication. It also stands out because the people in charge of the lists over the years don’t tend to change often. So you can compare lists from year-to-year and hold up the results. That isn’t the case at most other publications where writers are come-and-go far too frequently. You can see the entire Baseball America Top 100 list here, but you will need a subscription to read it. With that said, the Cincinnati Reds landed five prospects on the list. In order, they were: Nick Senzel, Taylor Trammell (#33), Jonathan India (#51), Hunter Greene (#57), and Tony Santillan (#69). All five of the prospects ranked in the top 70 of the list, with Senzel coming in at #10 overall on the list. Santillan, a 21-year-old right-handed pitcher, joins Senzel among the group with an ETA of 2019 for the expectation. He split his season in Advanced-A and Double-A last season where he posted a 3.08 ERA in 149.0 innings between the two stops. What is interesting to see with the Baseball America Top 100 list is the order of the Reds prospects. 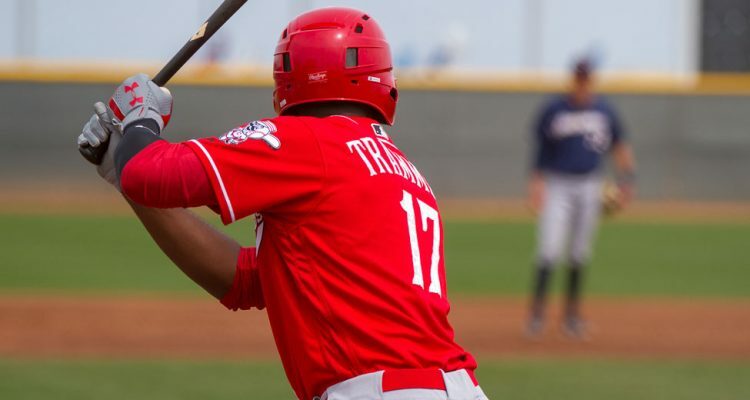 Earlier this winter they released the Reds organizational list, which had the players ranked in this order: Nick Senzel, Hunter Greene, Taylor Trammell, Jonathan India, Tony Santillan. On the top 100 list, which has more contributors, Hunter Greene falls from second to fourth among the Reds prospects. They are all grouped together in that second to fifth range, so the difference is essentially non-existent. Still, it’s interesting to see that “the group”, or perhaps even the final decision maker on the Top 100 list was talked into dropping him down the list. The Baseball Prospectus crew jumped out this morning with their list, beating Baseball America to publish by about 2.5 hours. And they also beat them by one prospect, as theirs goes to 101. You can see their entire list here, and it’s free for everyone to read. Unlike the Baseball America list, the Cincinnati Reds only landed four prospects on the list. Nick Senzel headlines the Reds organization here, coming in at #9 overall. He’s hilariously listed as “3B/2B/SS?/OF?” on the position aspect of their rankings. Taylor Trammell finds himself next on the list from the organization, just two spots below Senzel. The #11 spot for the Reds top outfield prospect is the highest ranking he’s had to this point in his minor league career. Cincinnati’s 2018 first round draft pick Jonathan India comes in on the list at #35 overall. The fifth overall selection in the draft has a pretty high ranking compared to a few players selected ahead of him in the draft. He split his season between Greeneville, Billings, and Dayton after signing in early July. He spent time at third base and shortstop during the season. The final Reds prospect to make the list was right-handed pitcher Hunter Greene, who came in at #75 on the list. After a slow start in the first month of the season, Greene dominated the Midwest League over the next two-and-a-half months before his season ended with a torn UCL. He opted to rehab the injury, much like Anthony DeSclafani and Michael Lorenzen did in past years. The now 19-year-old began throwing in December without restrictions in preparation for the 2019 season. Neither of these lists provide full scouting reports on the prospects mentioned here. 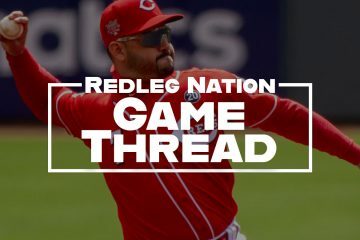 But over at RedsMinorLeagues.com you can read them all right here. You may need to go to the bottom of the page and choose a different set of pages as there are now over 30 reports written and only ten are listed per page. Could Joc Pederson be the Reds answer in center field? Very nice Job, hopefully it will not be too much longer before these individuals are up to help THIS club win a lot of games. I got see Santillan pitch for the Mustangs in Orem. Wow! He made many hitters look foolish. Perhaps he could be the next Cueto. The position designation for Nick Senzel would be a lot more hilarious if it weren’t accurate. Yea, I appreciate Doug pointing out Senzel’s various positions. But, I thought the same thing. Don’t we all including Reds FO consider Senzel to be truly be 3B/2B/ and potentially either a SS or OF. Predictions on April 1 where these 5 will be headed? Greene -stay in warm sunny AZ a few weeks? April 1st? Senzel is in AAA. May 1st, He is probably up. Greene and India in Daytona when the season begins. Santillan is a toss up between AA/AAA. Senzel…. depends if he can play center or not. I’d say 60/40 for AAA/MLB if he can. The CF question gives the Reds an out. They could send Senzel to AAA to play CF every day for a month. Daytona season tickets just went up if Greene and India are both there. Is there a Gray/Mancuso ST report planned? Is Daytona class A ? Daytona is Advanced-A. Not to be confused with Dayton, which is Low-A. Assuming he’s healthy, Senzel will play in AAA for about two weeks then come to the major leagues. Front office malpractice, otherwise. The players agreed to the rules, if the FO, did not do it, it would be bad. trade 2 weeks for a year, is always to good bet. I am headed to Arizona ST Feb 23-28. I am unqualified to give ST report but I plan on seeing CIN, CWS, and MIL games with some friends from Milwaukee and Chicago. I can’t get right with the B-P list. I’m left shaking my head. Only 4 Reds, the omission of Santillan, India at #35 is quite high, and Greene at #75 is quite low. India didn’t show justification for such a lofty ranking. While Greene, after a bad first month, was in a groove from mid-May until late July when he was placed on the DL. I can understand Greene dropping a bit, but down to #75 is confusing. I think BA is more on it. Five Reds. Santillan at #69 was good to see, but surprised a little being in the top 70. But, they also had India higher than Greene, which I just don’t get. Will India get more time at SS this season? That seemed to be the plan last year, but never really came to fruition. What was it, 1 game? Will they keep him at 3B? Or might he get more time at 2B now that Downs and Long are no longer in the organization? Or is time in the OF in his future? After a long college season, India’s lackluster first pro season is understandable. But he has to show his talents this year and why he was the 5th overall draft selection last year. I think Reds may see Garcia and (Miguel) Hernandez as future SS prospects. Rodriguez, too (if he starts to hit better). They are about as far away from MLB as India. The Reds represent 3.33% of MLB but have 7% of the top 70 prospects. That’s a great sign for the health of the Reds’ farm system. Ugh – Rodriguez. To me, the moves that define the previous front office are the Chapman trade and the signing of Alfredo Rodriguez. That’s what I think of first. Sad. I do not blame Walt for the trading of Chapman, that was probably (cannot prove it), Big Bobs fault. Get him out of here for what ever you can get. But, isn’t Big Bob really part of the FO ? Name the only Reds GM to get the Reds into the playoffs this (21st) century. Hint: first name is Walt. He traded for Scott Rolen and Eugenio Suarez among others. These lists were prepared before the trade for Gray. Does anyone know where Reiver Sanmartin stood in the Yankee prospect list? Everyone focusses on the immediate (Gray) but hey might be overlooking what we might have gotten for the future (Sanmartin). Not in their top 30. He was a Reds analytics team target per DW. Sanmartin was not on a Yankee’s prospect list, at least not a list for the top prospects. He’s also not on any Reds top prospect list…yet. He’s a work-in-progress with some VERY interesting, albeit limited, performances over the past 2 seasons. He won’t be making any Reds Top 25/30 prospect lists. Wasn’t expecting him to be a top 50 prospect on the Yankee list. much less where he’d slot on the Reds’ list. Given the trade structure that would probably been too much visible value on the table to provide he necessary balance/symmetry. But I did think along the lines of being between 50 and 100. And yes, I love it that he was specifically targeted by analytical methods by a team formed to do exactly that. The Reds have entered the Twenty First Century at last. Better late than never. Any chance Reds go after Cuban shortstop Yolbert Sanchez? Doubtful. He’ll cost more money than they are allowed to spend unless he waits until July. Wasn’t it the Alfredo Rodriguez signing that pushed them over the threshold so they can’t spend until July this year? This is one aspect I hope the FO will take once they are “pretty much” done with moves for this season. Work on developing the minor leagues. Instruction, scouting, etc. That’s where I believe the Reds have lost with the departure of Krivsky and O’Brien. I believe they understood where we need to grow this team, from the minor leagues. When Jocketty came in, it seemed like the Reds lost this. So, I was real glad to see this, with DW in here. And, I hope listings like this become even bigger for us. 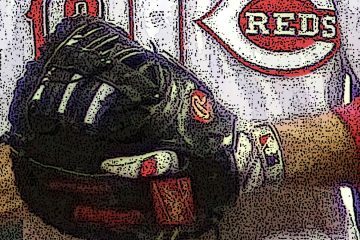 The main impact in the improved prospect quality of the Reds minor league system has been draft position. High draft picks will (hopefully) not continue after the 2019 rule 4 draft. That’s why protecting those prospects was so important. Equally important will be replacing those prospects with quality going forward. That means successfully tapping into other resources for prospects that have been underutilized or ineffectively utilized previously and making the most of the prospects drafted. Hopefully the improvements implemented by the DW/NK/DB regime will be able to produce positive results in that regard.